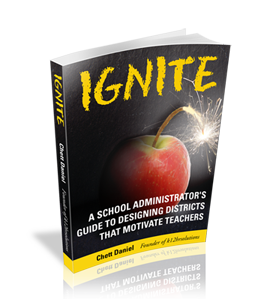 School leaders are often looking for effective ways to manage change and improve customer service to internal staff and to the patrons the district serves. We decided to reach out to a small business owner who is renowned for his businesses’ performance in customer service and bottom up innovation. In this episode of the K12 HR Solutions Podcast, I interview Ari Weinzweig, Co-Owner and Founding Partner of Zingerman’s Deli. Ari and the Zingerman’s way has been featured in Inc. Magazine, Forbes, the New York Times, and Oprah. How to encourage and channel innovation. Ari Also discusses the concept of Open Book Management. This is a method of leading where staff members are taught how to read and understand the financials of the business to help lead in a more collaborative and transparent manner. Ari discusses a great book on that inspired his views on Open Book Management titled, The Great Game of Business by Jack Stack and Bo Burlingham. ZXI (Zingerman’s Experience Indicator). A metric Zingerman’s uses to measure and encourage customer service among employees. If you want to learn more about Ari’s 12 Natural Laws of Business, here is a keynote address he delivered in 2014 where he discusses each of the 12 Laws. We hope you were able to take some good information away from this episode. Please take a moment to leave us a review on iTunes. It is the fastest way to help us increase our number of listeners. Also, in the comment section below, let us know what your district does to help facilitate bottom up change and how your district maintains an environment focused on customer service. If you would like, share your ideas on the Open Book Management Philosophy and how you think it could work in your district.